As Black Friday quickly approaches, retailers prepare to offer the best sales of the year– for one day only! It is the starting line for the race for Christmas and we all want to take advantage of the great deals. The only problem is that it is quite overwhelming, and we are often scratching our heads deciding where to start. 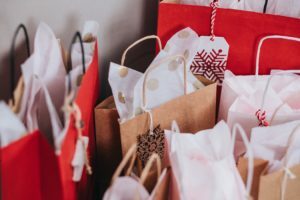 To help you navigate through the sea of sales and chaotic crowds we have put together a few tips so you can make the most out of your Black Friday adventures. Be like Santa Claus and make a list. Start by writing down all the people you want to shop for and what you want to give them this year. Creating a list will help you stay focused and get you out of the store and crowds quicker. The other benefit of creating a list is that during the chaos of Black Friday, you won’t forget anything and then have to go back to possibly pay more for that same item! Almost every chain store, as well as many small businesses, will offer an online preview of what will be on sale for Black Friday (don’t forget to check the business’ social media pages too!). Take some time between now and then to browse through sale previews to see which stores have the best deals on the items you are looking for and save yourself the stress by only visiting those locations. Also, don’t forget sales events that continue throughout the weekend. The most famous of these events are Cyber-Monday, which will take place on December 1st this year. The last tip is a virtue– patience. Every chain store will have a line– most likely a very long line. To get incredible deals and to save money during Black Friday and Thanksgiving weekend, you have to consider the whole shopping experience. Remain patient and calm when you are looking for your purchases, and be sure to be safe and have a good time (i.e. bring a friend for someone to talk to and maybe even help you check items off your list). With this in mind, you will be less likely to get frustrated and just leave before you’ve gotten to take advantage of all your Black Friday deals! Tio Rico’s locations based out of Arizona, New Mexico, and California are opened from 9 AM to 7 PM. If you need a little extra cash to get your shopping done during Black Friday (and the weekend) stop in and get a title loan or call us at 602-322-1010. In as little as 30 minutes, you can have the cash you need. All you need to get the process started is a vehicle registered in the applicant’s name, a car, truck or SUV title, and a picture ID. To find a location near you visit our locations page.